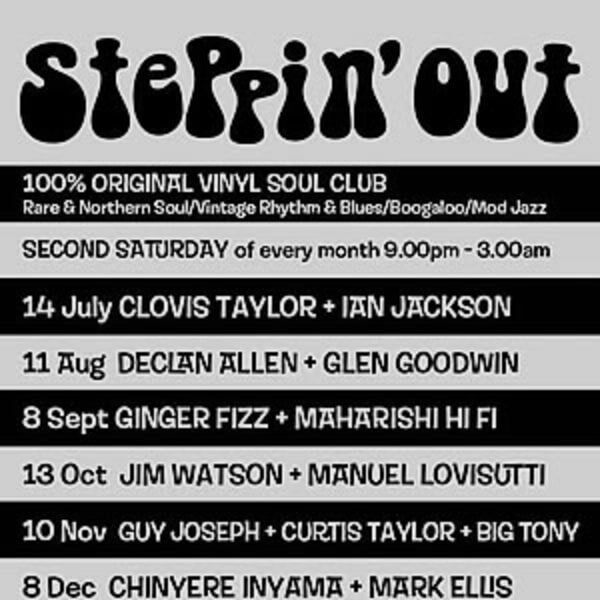 November's Steppin' Out features a trio of top DJs kickin' up a rumpus: Guy Joseph (Ham Yard Soul Stew) + Curtis Taylor (The Shakeup) + Tom Hall (aka Big Tony). Tuneage to fry your wigs! 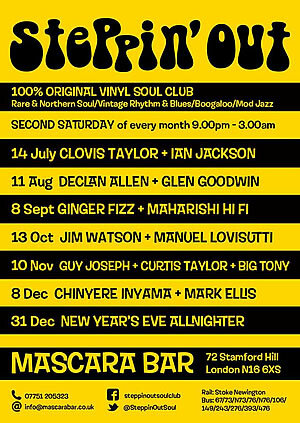 Original Vinyl Only Northern Soul, Rhythm & Blues, Motown, Boogaloo, Mod Jazz - killers n floor fillers from the off - more of a good sounding time than the law permits. You know the drill - Mascara Bar - "finest little honky in Hackney". 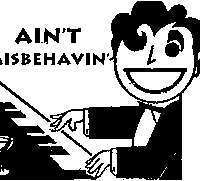 Wild, friendly, late night, regular pub prices, great sound, free admission. A neat treat for dancin' feet - ain't no better place to show your pretty face!